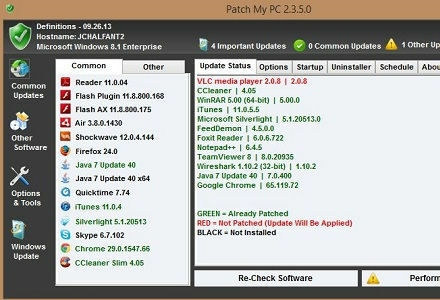 Patch My PC will update Windows and applications with the goal of improving your PC's security. Windows Updates frequently target serious vulnerabilities that could be exploited by malicious users. By keeping up to date you reduce your risk. The same rule applies to applications. Patch my PC attempts to make this a lot easier.